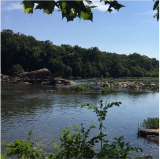 Fredericksburg offers riding to all types of cyclists ranging from highly technical mountain bike trails to leisurely riding through town, all the way to going a century ride in on your road bicycle. Here on this page we would like to give you some ideas on places you can ride and some of our favorite routes in the area. 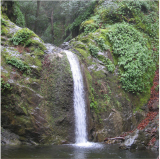 Discover this hidden treasure within our city limits! This wooded park is located at the end of Greenbrier Drive extended. It is equipped with a renovated picnic shelter, picnic tables, restrooms, grills, play equipment, walking paths, and fitness trail. This wooded park is a great place for children to play, even during the warmest days of the summer the shade trees keep it cool. Stop by and see for yourself, we think you'll agree, the place looks great! The Canal path is a paved pathway that is 1.8 miles long and winds along the canal from Fall Hill Avenue to Princess Anne Street. The Heritage Trial is a 1.6 mile asphalt stretch that connects the two parts of the Central Path making a 3.1 mile loop. Just about right for a 5K race. 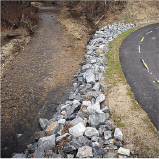 The new portion of trail, which is 10 feet wide, begins near the intersection of Princess Anne and Ford streets at the end of the Rappahannock Canal. 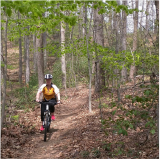 The Mary Washington Hospital Trail runs along the southeast border of the hospital center, providing a pleasant stroll or gentle bike ride for hospital visitors and patients. Park at Mary Washington Hospital, 1001 Sam Perry Boulevard, Fredericksburg, VA, Parking restrictions may apply. This lovely oasis within easy reach of town provides a multitude of recreational opportunities. The 860-acres natural area, including the 160-acre reservoir, is a haven for fishing, canoeing, hiking, and picnicking. 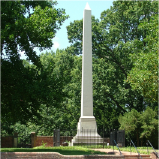 It also serves the residents of Fredericksburg and part of Spotsylvania with drinking water. Mountain biking is allowed only on designated trails. For mountain bike information visit www.fatmug.org. Work began in early summer 2013 on construction of the Virginia Central Railway (VCR) Trail. This ten foot wide and approximately 2.7 mile long asphalt trail will run from the eastern end of the Cobblestone development off Lafayette Boulevard out Lafayette Boulevard and across the Blue and Gray Parkway, then through Alum Spring Park and across Jefferson Davis Parkway (Route 1) to a point near the Idlewood neighborhood, just east of I-95.